General Manager, Ziyen UK Ltd.
Ron Caithness joins Ziyen UK Ltd. as General Manager of our UK branch office in Aberdeen. Ron’s role as GM is responsible for strategy, structure, budgets, people, financial outcomes and managing both the revenue and cost elements of the company. 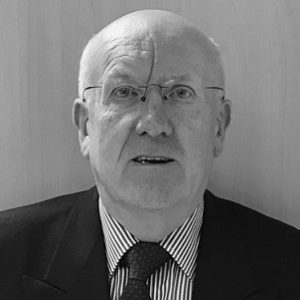 Ron is a career banker with over 35 years of experience operating throughout the UK, with a significant portion spent in Branch Banking and involved in Personal, Small Business and Corporate Banking. Latterly operated as a Regional Manager and ultimately as Head of the Branch Network for the UK. Following his banking career, Ron set up his own Consultancy Business specializing in support to Small Business and the Agricultural Sector with loan negotiation as a critical component. Ron is also a keen sportsman, and still plays competitive curling and golf.